Tigers soccer had a good trip up to Antigonish on October 6, with both the men’s and women’s teams getting back into the win column. The women’s team overwhelmed the St. Francis Xavier X-Women 3-0, with goals coming from Elise Bilodeau, Scarlett Smith and Bianca Jakisa. The goalkeeping carousel continued, with Shannon Junor back in net, making five saves for the shutout. In the men’s game, Dal midfielder Aaron Hoyle opened the scoring up at the end of the first half. 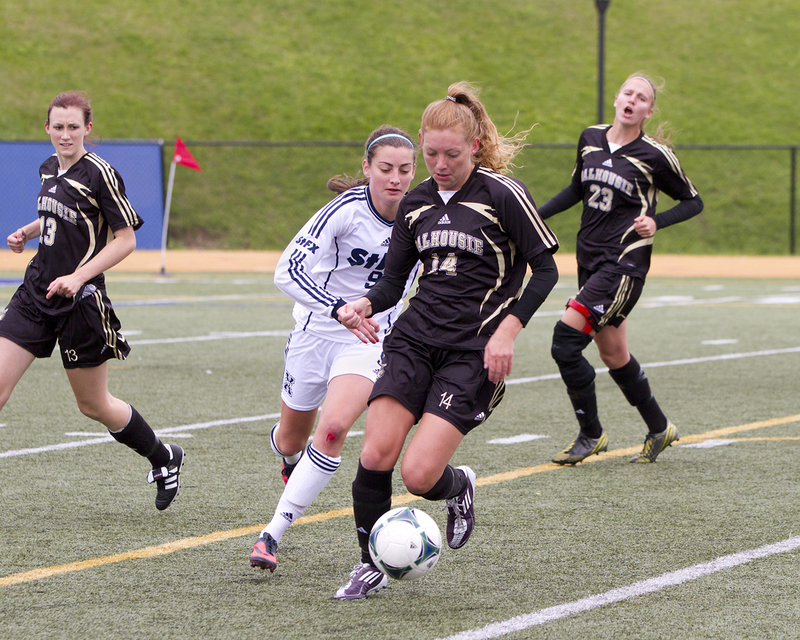 The match was heated throughout the second half, with St.FX racking up five yellow cards and one red. Despite being shorthanded, the X-men tied it up in the 88th minute, but William Kafeero scored the go-ahead goal for the Tigers less than 30 seconds after to secure the victory. Homecoming wasn’t limited to football, with the men’s basketball team kicking off the festivities with a bout against CIS powerhouse Carleton on October 4, with the tigers falling 92-47. The team bounced back the next day, led by Devon Stedman’s 21 points, with an 85-77 win over UQAM. However, on October 6 the team fell to their Robie Street rival Saint Mary’s 87-67. The women’s team went on the road to start their preseason, winning their opening game against UNB 81-67 behind Robbi Daley’s 18 points. The rest of the weekend did not treat the Tigers well, losing to both Laval and Regina in the following games. The road back to the ice has been anything but smooth for the women’s hockey team, who have yet to register a win this preseason. Playing four games in three days from Oct. 4-6, the Tigers were tamed 4-2, 6-0 and 3-0 in their first games. However, their bout against Mount Allison was more promising, with Dal forcing overtime in an eventual 5-4 loss to the Mounties. The men’s team did not fare any better, falling 7-3 to Carleton before crossing the border to face off against Northeastern University in Boston and the University of Maine-Orono. The Tigers were unable to leave the US with a win, losing 5-0 and 5-1 respectively.